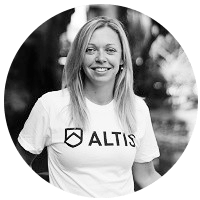 The ALTIS Podcast is a free resource featuring discussions with some of the best-known coaches on the planet, as well as athlete special guests. Topics include Sports Coaching, Performance Therapy, Sports Performance, Sports Physiology, Sports Psychology, Skill Acquisition, Athlete and Coach Perspectives, and much more. Notable past guests: Kelly Starrett, Dan Pfaff, Greg Rutherford, Fergus Connolly, Loren Landow, Matt Jordan. Like what you hear? Subscribe to the ALTIS Podcast. Enroll in the ALTIS Foundation Course now and access coaching education. Access anywhere, anytime, on any device.